The Ordination of Nicholas StJohn to the Permanent Diaconate. The Ordination of Nicholas StJohn to the Permanent Diaconate. The Veneration of the Altar. The Ordination of Nicholas StJohn to the Permanent Diaconate. Rev. Fr. John Batthula's words of welcome and introduction. The Ordination of Nicholas StJohn to the Permanent Diaconate. Words of introduction from His Grace Archbishop Bernard Longley. The Ordination of Nicholas StJohn to the Permanent Diaconate. The choir sings the Gloria. 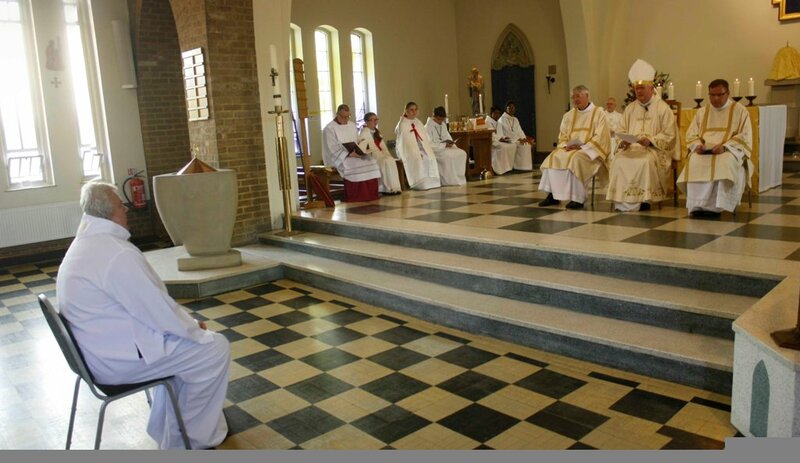 The Ordination of Nicholas StJohn to the Permanent Diaconate.. The First Reading. Deuteronomy 30:10-14. The Ordination of Nicholas StJohn to the Permanent Diaconate. The Responsorial Psalm. Psalm 9I. The Ordination of Nicholas StJohn to the Permanent Diaconate. The Second Reading. Colossians 1:15-20. The Ordination of Nicholas StJohn to the Permanent Diaconate. The Gospel. Luke 10: 25-37. The Ordination of Nicholas StJohn to the Permanent Diaconate. 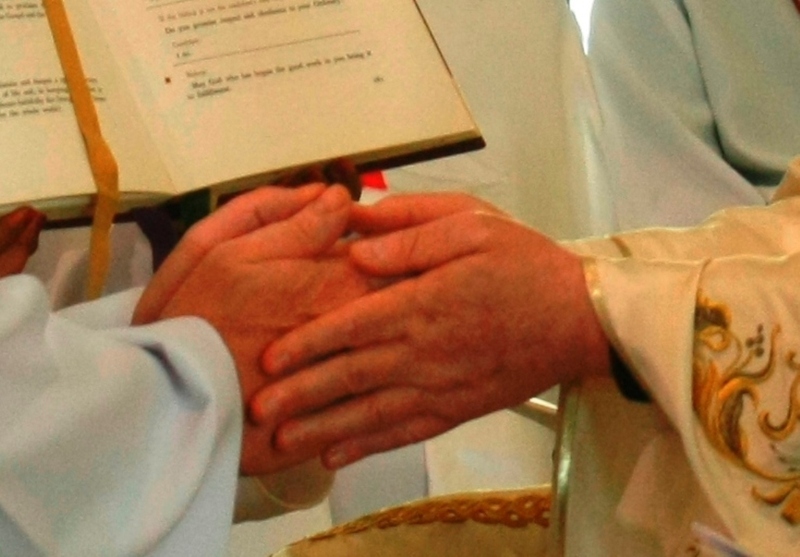 The Rite of Ordination. The Ordination of Nicholas StJohn to the Permanent Diaconate. His Grace Archbishop Bernard Longley delivers his homily. The Ordination of Nicholas StJohn to the Permanent Diaconate. The Examination of the Candidate. The Ordination of Nicholas StJohn to the Permanent Diaconate. The Litany of Saints. The Ordination of Nicholas StJohn to the Permanent Diaconate.Laying on of Hands and Prayer of Consecration. The Ordination of Nicholas StJohn to the Permanent Diaconate. 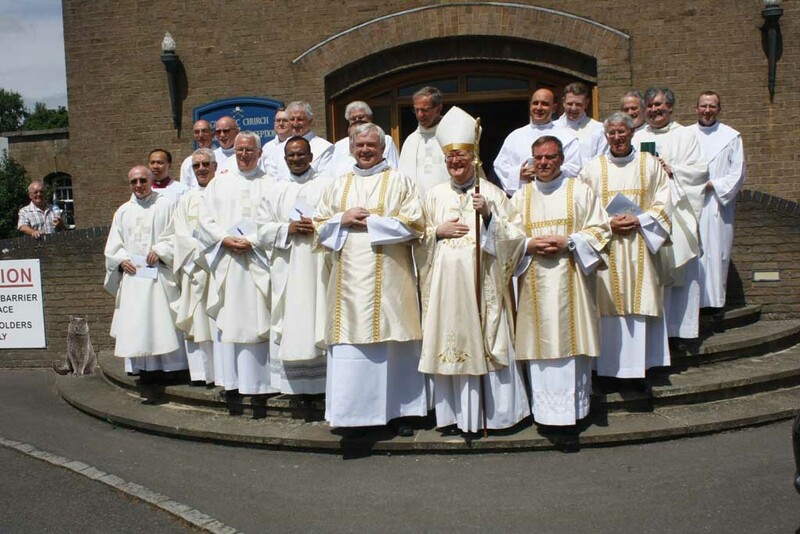 The Vesting in the Stole and Dalmatic. The Ordination of Nicholas StJohn to the Permanent Diaconate. The Kiss of Peace. The Ordination of Nicholas StJohn to the Permanent Diaconate. The Procession with the Gifts. The Ordination of Nicholas StJohn to the Permanent Diaconate. The Preparation of the Altar. The Ordination of Nicholas StJohn to the Permanent Diaconate. The Incensation of the Altar. The Ordination of Nicholas StJohn to the Permanent Diaconate. The Incensation of His Grace the Archbishop. The Ordination of Nicholas StJohn to the Permanent Diaconate. The Incensation of the Concelebrating Clergy. The Ordination of Nicholas StJohn to the Permanent Diaconate. The Incensation of the Congregation. The Ordination of Nicholas StJohn to the Permanent Diaconate. The Liturgy of the Eucharist. The Ordination of Nicholas StJohn to the Permanent Diaconate. Let us offer each other the sign of peace. The Ordination of Nicholas StJohn to the Permanent Diaconate. Agnus Dei, qui tollis peccáta mundi; miserére nobis. The Ordination of Nicholas StJohn to the Permanent Diaconate. Address by Rev. Fr. Harry Curtis, Director of the Permanent Diaconate Programme. The Ordination of Nicholas StJohn to the Permanent Diaconate. The Presentation of the Papal Blessing. The Ordination of Nicholas StJohn to the Permanent Diaconate. The Clergy Assembled. The Ordination of Nicholas StJohn to the Permanent Diaconate. Archbishop with newly Ordained Deacon.